Will Xi Jinping take the lead on climate change? President Trump’s retreat on climate change put China ‘in the driver’s seat’. But to really demonstrate leadership, China needs to green its overseas investments. President Trump’s announced withdrawal from the Paris Agreement shone a light on China’s efforts to fight climate change, which are as much about economics and technology as environmental responsibility. Longer-term technological and economic change may lead China to eventually show greater diplomatic ambition on climate. China cannot assume an international leadership position on climate until it deepens its domestic energy transition and greens its overseas investments. President Donald Trump, who once called climate change a Chinese hoax, has committed to withdrawing from the UN Paris Agreement on Climate. 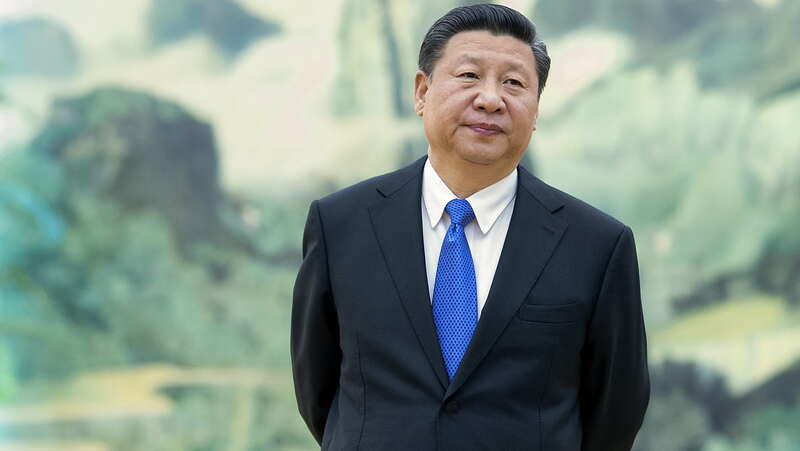 Meanwhile, Chinese President Xi Jinping has doubled down on his support for the UN climate accord and the low-carbon energy transition of his country. With the United States in retreat and Europe divided, can China now take the lead? This Analysis argues it is unlikely China will assume an international leadership position on climate, at least in Xi Jinping’s new term of office. However, longer-term technological and economic change, as well as a shift in the way the country presents itself on the world stage, suggest that China may eventually show greater ambition. If China’s leadership encourages and harnesses its drive to create an ‘ecological civilisation’ in new bilateral and multilateral forums, it could be environmentally and diplomatically transformative. But in the meantime the country faces major tests: at home in strengthening its domestic energy transition away from coal; and abroad in proving its green credentials through its overseas investments. President Donald Trump’s announcement in June 2017 that the United States would withdraw from the 2015 Paris Agreement on climate change sparked widespread criticism, including from European leaders, tech titans, US city mayors and even from the oil majors. It raised questions about the future of US climate policy, but also about climate action in China — the world’s largest greenhouse gas emitter. China and the United States, the world’s two largest economies, together account for around 40 per cent of global emissions. The historic agreement signed in 2014 between Barack Obama and Xi Jinping underpinned the consensus reached by the international community in late 2015 at the UN-led climate summit in Paris. The Paris Agreement aims to keep global average temperatures from rising 2 degrees Celsius above pre-industrial levels, and to pursue efforts to limit the temperature increase to 1.5 degrees Celsius. However, the commitments of signatory countries, as they stand today, fall short of even the 2-degree target. Even if all countries fulfil their Paris pledges the world would still see a 2.4 to 2.7-degree average temperature rise by the end of the century. Under current policies, this could be 3.3 to 3.9 degrees. China, which was once cast as the villain of global climate talks and was widely blamed for the collapse of negotiations at the summit in Copenhagen in 2009, has become an active participant in climate diplomacy. At the Paris summit, China committed to peak its CO2 emissions by 2030 or sooner; to cut carbon intensity (emissions per unit of GDP) by 60 to 65 per cent from 2005 levels by 2030; and to increase the share of “non-fossil” fuels in its primary energy mix to 20 per cent by the same date. Its domestic commitments are consistent with this pledge and go even further. China’s 13th Five-Year Plan (2016–2020) sets the share of non-fossil-based energy in the country’s primary energy mix at 15 per cent by 2020. It also places a cap on China’s total energy consumption at 5 billion tonnes of standard coal equivalent by 2020. China’s shift away from coal-fired energy has proceeded at a rate that was once unimaginable. Building on significant improvements in energy efficiency over the past decade, China appears to be moving towards a phase of slower but higher-quality growth, with a diversified energy supply. Its coal use may have already peaked in 2013–14. Having run seven pilot schemes over three years, China plans to roll out a nationwide emissions trading scheme, the biggest in the world, in late 2017. China also leads the world in the technologies needed to mitigate climate change. Chinese companies account for five of the top six global solar photovoltaic manufacturers, and seven of the top 15 wind turbine manufacturers. Four of the five biggest renewables deals in 2016 were made by Chinese companies. China is also the dominant manufacturer of the world’s lithium-ion batteries, which among other things are used in electric cars. President Trump’s decision to withdraw from the Paris Agreement created a leadership vacuum. The United States was not known for ambitious policies on climate at home, but its size meant it was critical to addressing climate change globally. It also had diplomatic clout, which it employed successfully to help strike a deal at the Paris summit. President Xi Jinping called the Paris Agreement a “hard-won achievement” that “all signatories must stick to”. He pledged that China will fulfil its obligations under the UN climate accord, despite the US decision to pull out. At the 19th Congress of the Chinese Communist Party in October 2017, Xi said that China was in the “driving seat” when it comes to “international cooperation” on climate change. He received almost universal praise for those statements. The US retreat was an easy victory for China, with Trump opening “the door for China to emerge both as the world’s leader in green technology … and in international efforts to slow global warming”. Yet, without its US partner, it is unclear if China will act unilaterally to raise its ambitions further, strengthening its own energy transition process and helping to increase global efforts to address climate change. Notwithstanding China’s status as the world’s de facto climate leader, whether China actually desires a position of climate leadership and whether President Xi will seek to bolster such a position during his second five-year term is open to question. This Analysis argues that despite a continued reluctance to shoulder leadership at the United Nations, technological and economic changes in China, as well as a shift in Chinese leaders’ statements, suggest that China could play a greater leadership role over time. This transformation is by no means assured. Tests of China’s environmental leadership are coming. These include the extent to which China will make the transition away from coal-fired power and what role China will play in international negotiations on climate. Of particular significance for international actors will be China’s overseas investments, which could make the difference between locking in high-carbon growth in developing countries or transforming patterns of global development towards lower-carbon alternatives. Potential future scenarios range from one in which China’s economic power supports the continued expansion of fossil fuel trade and fails to meet the global goals set at Paris, to one in which China becomes the benevolent provider of high-technology infrastructure powering a carbon-constrained world. This Analysis explores which future is more likely, what form it will probably take, and why. After President Trump’s withdrawal from the Paris Agreement, global climate change governance moved into a third era. The first era saw the adoption of the UN Framework Convention on Climate Change (UNFCCC) in 1992, led by Europe and the United States, with a clear separation established between the responsibilities of developed and developing countries and agreement that rich countries would shoulder the burden of mitigation. The second era, which began in 2001, saw the European Union take a leadership position in climate negotiations after the United States refused to ratify the Kyoto Protocol. The US announcement of its withdrawal from the Paris Agreement marks a third era. The European Union’s influence is waning, and the surrounding geopolitical regime is shifting. For the first time the international community is looking to China for leadership on global climate governance. Instead, there has been a rise in new Chinese terms for the country’s green ambitions. These include: “ecological civilisation” (shengtai wenming); “clear waters and green mountains are as valuable as mountains of gold and silver” (lüshui qingshan jiushi jinshan yinshan); “greenisation” (lüsehua/lühua); and the “war on (air, water and soil) pollution” (xiangdaqi, shui, tumai wuran xuanzhan). The term makes repeated appearances in the 13th Five-Year Plan, and was codified in a 2015 document, Opinions of the CPC Central Committee and the State Council on Further Promoting the Development of Ecological Civilization. This set ecological civilisation alongside other leadership-endorsed political slogans, including the “Chinese Dream” (Zhongguo Meng), and the “Two Centenary Goals” (to double GDP and per capita income by 2020 on a 2010 baseline, in time for the centenary of the founding of the Communist Party of China). Other demonstrations of a more assertive, outward-facing environmental position can be seen in the rhetoric around China’s new lending institutions supporting the Belt and Road Initiative. Jin Liqun, President of the Asian Infrastructure Investment Bank (AIIB), one of the smaller but more diplomatically significant financing vehicles for this drive, has often stated his ambition to create a “lean, clean and green” multilateral development bank. In June 2017, his opening remarks at the bank’s meeting of the board of governors noted that the AIIB ensures its investments help its members “meet their Nationally Determined Contributions under the Paris Agreement”. Less apparent in international rhetoric thus far, but also endorsed by Xi and an increasingly significant talking point for officials, is China’s vision of a global “Energy Internet”. A concept pioneered by State Grid Chairman Liu Zhenya, it would harness cross-border grid connections across Asia and beyond, to move fluctuating power from geographically remote renewable energy resources to places where demand was high through ultra-high voltage transmission lines. Looking to the future, three possible scenarios exist with respect to China’s international role on climate change. The first scenario could see China adopt less of a leadership position and even backslide on its existing commitments. In such a ‘free rider’ scenario, China could continue to benefit from the soft power advantage of being the de facto leader on climate, while hobbling the Paris Agreement by abandoning an active role in promoting it. Domestically, China could continue to stimulate its economy in traditional, energy-intensive ways and avoid a difficult economic and energy transition. A second scenario could see China meet its domestic and international targets on climate, achieve its pledge to peak its emissions before 2030, but not rein in the growth of its emissions overseas. Under this scenario, China’s Belt and Road Initiative could become an outlet for surplus capital and technology flowing into industries such as coal, steel, and cement production. China might continue to champion the UN agreement on climate change in multilateral forums, but the 2-degree target would likely remain out of reach. Finally, China could deliver on its rhetoric of “ecological civilisation”, using the Belt and Road Initiative to harness and expand the reach of its most innovative industries in the export of low-carbon technologies and connective infrastructure, rather than its energy-intensive, overcapacity sectors. At the United Nations, it could forge new partnerships with countries and blocs with progressive policies on climate change, and help to ratchet up targets for other countries, for example by championing the 1.5-degree target. The drivers of environmental action across different dimensions of China’s economy and society help explain which of these scenarios is more likely. Historically, international pressure has played less of a role in persuading China to adopt environmental regulations than observers sometimes assume. More important has been China’s self interest in addressing climate change. Chinese leaders — a significant proportion of whom trained as engineers, scientists, and hydrologists — have long understood the seriousness of climate change especially for China. China is home to around 20 per cent of the world’s population, yet has only 5 to 7 per cent of global freshwater resources and less than 10 per cent of the world’s arable land. Greater climate uncertainty is likely to exacerbate existing stresses on energy, food, and water, and even lead to catastrophic shocks. China’s megadeltas, for example, are particularly vulnerable to climate change and rising sea levels. The flooding of delta megacities due to storm surges could put many lives at risk and damage critical infrastructure in heavily industrialised low-elevation coastal areas, such as the Pearl River Delta. At the same time, China’s economy is moving towards a less greenhouse-gas intensive pattern of development. Some analysts argue that it has already entered “the era of post-coal growth”. China’s economic slowdown and a decline in construction and manufacturing are long-term trends characterising China’s current phase of economic development. A recent softening of energy demand is set to continue, as the growth strategy moves from an investment-led, heavy industry-dominated economy, towards development that emphasises services, innovation, and higher value-added manufacturing. Mitigation technologies also present distinct economic opportunities for China. The country is reaping the benefits of patient, long-term innovation policy. China’s support for “indigenous innovation” (zizhu chuangxin) started under former President Hu Jintao. Under China’s Medium to Long-Term Science and Technology Plan (2006–2020), gross expenditure on research and development is set to rise to 2.5 per cent of GDP by 2020 with a focus on a range of strategic areas, including energy, environment, agriculture, and transport. The 12th Five-Year Plan (2011–2015) highlighted seven strategic emerging industries, including renewable energy technologies and electric cars, for preferential support. The 13th Five-Year Plan continued the emphasis on clean technologies, though gave greater play to the market in determining which “green industries” and “technology routes” would be awarded support. China is already investing over US$100 billion a year in domestic renewable energy projects — more than double the US figure. At around US$32 billion, its investment in green technology overseas is also the largest in the world. The International Energy Agency forecasts China will build 40 per cent of the world’s wind energy capacity and 36 per cent of global solar capacity from 2015 to 2021. China’s decarbonisation goals set out in its 13th Five-Year Plan and its commitment to the UN climate process are also consistent with some of its key economic, technological, and nationalist ambitions. China wants to restructure the domestic economy away from energy-intensive heavy industries, such as steel production, and towards innovation and services. It wants to be the leading supplier of low-carbon products to the rest of the world. It also wants to increase its energy security, in part through renewable sources that do not expose it to the effects of geopolitical conflict or price volatility on energy supply. Coal consumption has fallen year-on-year for three years, and energy consumption is growing more slowly than GDP, indicating a gradual decoupling of CO2 emissions from economic growth in the economy and diversification of the energy mix. At the local level, initiatives such as the alliance of Chinese ‘early peaking’ cities, which have pledged to reverse the trend of carbon emissions growth before the government-mandated peak in 2030, stand out as examples of progress in efforts to reduce coal consumption. The degree of local initiative is a reminder, too, that innovation in China doesn’t always start at the top. Electric bicycles, bike-sharing apps, and solar water heaters are three highly successful examples of low-carbon innovation that began with little central support. Instead, these were largely demand-led successes driven in part by public concern about the health effects of worsening urban air pollution. The high level of public concern is reflected in rising coverage of climate and environmental topics in media outlets in China, as well as in public opinion data. A Pew survey in 2015 found that 76 per cent of Chinese thought air pollution was a big problem, with 35 per cent saying it was a very big problem, making it the second biggest issue of concern in China after corruption. These concerns were also evident after the launch in early 2015 of the anti-pollution documentary Under the Dome, which initially appeared on state newspaper websites. It was praised by then Environment Minister Chen Jining — a former environmental engineer — who told China’s National People’s Congress that it reflected “growing public concern over environmental protection and threats to human health”. The documentary focused on the causes and effects of air pollution, and took aim at graft in China’s energy sector. It was a narrative that implicitly endorsed President Xi’s anti-corruption drive and linked it to efforts to green the economy. It was enormously popular, and within 24 hours of being posted online, it had been viewed more than 100 million times. The outpouring of emotion online did not escape the notice of the authorities. A suspicion of non-governmental actors setting the agenda, and a deep concern about preserving ‘social stability’, seemed to explain the sudden censorship. One insider told the author that the problem was not the message of the documentary, but rather that the public outcry it provoked was not directly under Party or government control. Environment Minister Chen Jining was reportedly censured over his initial support of it, too. Ultimately, the Chinese Government has to maintain a delicate balancing act in its approach to environmental issues. On the one hand, it needs to be seen to be acting on popular concerns about pollution and to promote low-carbon development. On the other hand, it needs to maintain economic growth, to prevent any challenge to the authority of the Party. Managing such a balance is not going to be easy. If China is to assume a real leadership role on climate change, Xi Jinping will need to do three main things: implement the domestic energy transition away from coal; show greater ambition in international climate negotiations; and transform China’s overseas investment in ways that are consistent with its environmental ambitions. China faces many obstacles to transforming its economy and its energy mix. State-owned enterprises and monopolies still try to resist disruption by new market forces, despite Xi’s anti-corruption campaign having weakened their ability to affect decision-making. A key uncertainty in transitioning away from coal is China’s response to the perceived social stability challenges from declining employment in carbon-intensive sectors. The transition is expected to mean 1.3 million workers will ultimately be laid off by coal mine closures. Another uncertainty is fear of defaults and an ensuing debt crisis if companies are permitted to fail. Local implementation is also a major problem for central planners in China. One illustration of this was the recent approval by provincial authorities of numerous plans for new coal-fired power stations, although these plans were later cancelled by sweeping central government decrees. There is also limited local implementation of environmental regulations underlined by the way that local environmental protection bureaus (EPBs) often fail to do their job. These represent the Ministry of Environmental Protection (MEP) at the local level, but are financed by local governments — the same bodies they are supposed to regulate and which often collude with powerful, polluting companies. Their budgets are subject to approval by local finance bureaus. Environment Minister Li Ganjie recently launched a crackdown on environmental violations in the run-up to the 19th Party Congress. This included introducing a five-step process for more rigorous management of inspection and of the reporting of environmental problems. The MEP has also tried to institute more effective systems of ‘vertical management’ to overcome the problem of regulatory capture. In some smaller cities, there are attempts to take account of environmental measures in the way that local party and government officials are evaluated under the nomenklatura system. However, these reform efforts will likely be hobbled without public and independent oversight and accountability. China’s nascent environmental movement has played an important role in previous crackdowns, but today Chinese civil society has an uncertain future. Even as environmental rhetoric coming from leaders has become more prominent, the ability of NGOs to agitate and pressure Chinese leaders on environmental issues has declined. New laws restricting the media and the operations of NGOs, including the 2017 Law on Overseas Non-governmental Organizations, which put foreign groups under the supervision of the security services, have sent a chill through the NGO sector, including domestic groups that often depend on support from international foundations. So far, few international environmental organisations have been able to register under the law. In late 2014, the joint announcement on climate change made by President Xi Jinping and Barack Obama seemingly ended the ‘blame game’ that followed the collapse of climate negotiations at Copenhagen in late 2009. It also signified China’s departure from its position leading the Like-Minded Developing Countries’ bloc, which has long argued in favour of preserving the strict distinction between developed and developing countries in UN climate negotiations and which includes large carbon emitters. The rapprochement helped pave the way to the signing of the Paris Agreement. Cooperation on climate became the warmest dimension of the China–US relationship, at a time when discussions around cybersecurity and trade, for example, were more difficult. It also led to practical cooperation and on-the-ground pilot projects, through initiatives such as the US–China Climate Change Working Group and the US–China Clean Energy Research Center. Under the Trump administration much of this cooperation has come to an abrupt end. According to one media report, David Rank, the acting US ambassador in Beijing, resigned rather than formally notify China of the Trump administration’s intention to withdraw from the Paris Agreement. The resulting vacuum means it is possible that China will return to its more traditional position at the head of the Like-Minded Developing Countries. During Copenhagen, China’s negotiators were hamstrung by issues of diplomatic protocol and intra-elite bargaining. Today, President Xi’s more assertive stance and consolidation of power at the top has in theory improved China’s ability to act decisively. But it is uncertain what the attitude and capabilities of China’s leading negotiators will be, as China’s two leading climate envoys through that crucial period, Xie Zhenhua and Su Wei, have now left their posts. The European Union remains the other partner with which the Chinese could cooperate if it wanted to raise its ambitions in climate negotiations, perhaps by adopting a set of more flexible approaches to climate cooperation, a model for which was seen in a China–EU–Canada ministerial meeting held in Montreal in early 2017. However, when it comes to the European Union, foreign diplomats say their Chinese counterparts are known to quote Henry Kissinger’s apocryphal question, “Who do I call if I want to call Europe?” The European Union might have a central commission and directorate for climate policy, but it is still a federation of states, with differing interests when it comes to climate change. Poland, for example, is routinely intransigent due to its own reliance on coal. Other tensions in the China–EU relationship have also made it difficult to build cooperation on climate. Differences over trade undermined an attempt to sign a joint statement on climate at the EU–China Summit in June 2017. In its ‘16+1’ strategy, China has established a regional grouping that includes EU member states, but also Belarus, Serbia and others. Many EU states see China — which favours the ‘16+1’ group and China’s bilateral relationships in its overseas investment strategy rather than treating the European Union as a bloc — as adopting a “divide-and-rule” approach. For example, European diplomats see China’s financial support as having encouraged Greece to use its veto on key statements condemning China over its human rights record. At the ASEAN–China Environmental Cooperation Forum in September 2016, MEP Vice Minister Zhao Yingmin said that China and ASEAN should “work together to build the green ‘Belt and Road’, and … to promote open-ended ‘South-South environmental cooperation’”. One of China’s first such South-South projects is in Myanmar, where a Chinese Government partnership with a Beijing-based environmental NGO pledged to provide US$2.9 million worth of solar panels and clean cook stoves. Greater scrutiny of China’s implementation plan for climate finance for the developing world is needed, however. As China’s energy-intensive sectors slow, there is a risk that companies such as those producing the technology to mine and burn coal find an escape valve for overcapacity by exporting capital and technology outside China’s borders, driving carbon-intensive growth in other countries. From 2000 to 2016, 66 per cent of power sector lending from Chinese banks went into coal projects. Between 2001 and 2016, China was involved in 240 coal-fired power projects in 25 of the 65 Belt and Road countries, with a total installed capacity of 251 gigawatts. In Asia fast-growing economies such as Vietnam, India, and Indonesia plan to burn significantly more coal for energy, partly using Chinese technology and finance. A rise in coal-fired generation in these countries could not only undermine climate mitigation efforts, but also increase air pollution. Planned coal projects in Southeast Asia could lead to 70 000 premature pollution-related deaths per year by 2030, according to research from Harvard University and Greenpeace International. Chinese companies are opening coal-fired cement factories in Tajikistan. In Turkey, Chinese companies have signed agreements worth billions of dollars to construct coal-fired power stations. In Pakistan, China is helping to build the world’s largest solar farm: a 100 megawatt project under the US$46 billion China–Pakistan Economic Corridor. But it has also approved a US$1.2 billion investment for coal mining in the Thar Desert and the construction of 660 megawatt coal-fired power generators. China’s relatively new international financial institutions, the AIIB and the New Development Bank (NDB), face a choice that will have a direct impact on the credibility of China’s international environmental credentials. They can either continue to finance the use of cheap fossil fuels, or help to transform energy systems by funding newer, lower-carbon technologies. The portfolio of the NDB’s first batch of lending in 2016 — five loans totalling US$811 million — prioritised clean energy projects. However, the NDB has neither established a solid environmental and social framework for its investments, nor a clear energy strategy. With additional members likely to join the bank, it will struggle to maintain its sustainability criteria as it scales up its loan book. The AIIB has also avoided highly controversial projects in its first set of loans, but has refused to rule out financing coal projects. Here the role of other international players in the AIIB will be important. Australia, a major coal exporter, and the sixth-largest shareholder in the bank and chair of a voting constituency that includes Vietnam (where coal generation and imports are rising), lobbied for the inclusion of fossil fuels in the bank’s energy strategy. This caused a rare disagreement with the Western European shareholder constituency chaired by Germany. It is on the question of overseas finance, therefore, that some of the most crucial and difficult questions will need to be asked about China’s intimations of green leadership, and where international actors may have some of the greatest responsibility and potential leverage. Given the intersecting pressures that China faces, how realistic is it to expect China to assume a greater role in global climate governance? China, in its bilateral and new, proliferating multilateral relationships, can be expected to maintain active climate cooperation where it is advantageous, for technological, economic, and soft power purposes. The new rhetoric emanating from Chinese leaders on climate change does matter. Hope remains that in President Xi’s second five-year term, this rhetoric, combined with domestic economic, political, and social drivers of the low-carbon transition, translates into further climate action from China. But unless China can implement its domestic energy transition and phase-out of coal, and green its Belt and Road Initiative and overseas investment more broadly, its rhetoric about playing a leading role on climate change globally is unlikely ever to be realised. Jessica Tang contributed research. The author would like to thank the three anonymous reviewers who contributed excellent suggestions in the writing and editing process of this Analysis. Dr Sam Geall is Executive Editor of chinadialogue, Associate Fellow at Chatham House, and Associate Faculty at the Science Policy Research Unit, University of Sussex. He has a PhD in Social Anthropology from the University of Manchester, and edited China and the Environment: The Green Revolution, published by Zed Books in 2013. Edward Wong, “Trump Has Called Climate Change a Chinese Hoax. Beijing Says it Is Anything But”, The New York Times, 18 November 2016, https://www.nytimes.com/2016/11/19/world/asia/china-trump-climate-change.html. Jonathan Watts and Kate Connolly, “World Leaders React after Trump Rejects Paris Climate Deal”, The Guardian, 2 June 2017, https://www.theguardian.com/environment/2017/jun/01/trump-withdraw-paris-climate-deal-world-leaders-react. Jon Sharman, “Elon Musk Quits as Trump Adviser over Paris Agreement Withdrawal: ‘Climate Change Is Real’”, The Independent, 1 June 2017, http://www.independent.co.uk/news/world/americas/us-politics/paris-agreement-elon-musk-quits-trump-withdrawal-climate-change-deal-advisory-council-a7768201.html. Lauren Gambino, “Pittsburgh Fires Back at Trump: We Stand with Paris, Not You”, The Guardian, 2 June 2017, https://www.theguardian.com/us-news/2017/jun/01/pittsburgh-fires-back-trump-paris-agreement. Andrew Ward, “Shell Joins Exxon to Defend Paris Climate Accord”, Financial Times, 4 May 2017, https://www.ft.com/content/043320bb-1c59-301a-9e5d-20cce5dc28b1?mhq5j=e2. The White House, Office of the Press Secretary, “US­–China Joint Announcement on Climate Change”, Beijing, China, 12 November 2014, https://obamawhitehouse.archives.gov/the-press-office/2014/11/11/us-china-joint-announcement-climate-change. Niklas Höhne, et al, “Assessing the Ambition of Post-2020 Climate Targets: A Comprehensive Framework”, Climate Policy (2017), 1–17, http://www.tandfonline.com/doi/full/10.1080/14693062.2017.1294046. Department of Climate Change, National Development and Reform Commission of China, “Enhanced Actions on Climate Change: China’s Intended Nationally Determined Contributions”, 30 June 2015, http://www4.unfccc.int/ndcregistry/PublishedDocuments/China%20First/China%27s%20First%20NDC%20Submission.pdf. Grantham Research Institute on Climate Change and the Environment, “13th Five-Year Plan”, 16 March 2016, http://www.lse.ac.uk/GranthamInstitute/law/13th-five-year-plan/. Fergus Green and Nicholas Stern, “Managing Economic Change and Mitigating Climate Change: China’s Strategies, Policies and Trends”, in Ligang Song, Ross Garnaut, Cai Fang and Lauren Johnston eds, China’s New Sources of Economic Growth: Vol 1 — Reform, Resources, and Climate Change (Canberra: ANU Press, 2016), 419–448. Tim Buckley and Simon Nicholas, “China’s Global Renewable Energy Expansion”, Institute for Energy Economics and Financial Analysis, January 2017, http://ieefa.org/wp-content/uploads/2017/01/Chinas-Global-Renewable-Energy-Expansion_January-2017.pdf. “Top 10 Global Wind Turbine OEM Rankings: Vestas, GE, Goldwind, Gamesa, Siemens, Enercon, Nordex, United Power, Mingyang and Envision”, Reve, 3 April 2017, https://www.evwind.es/2017/04/03/top-10-global-wind-turbine-oem-rankings/59268. Buckley and Nicholas, “China’s Global Renewable Energy Expansion”. Jess Shankleman, “Xi at Davos Urges Trump to Stay in ‘Hard Won’ Paris Climate Deal”, Bloomberg, 17 January 2017, https://www.bloomberg.com/news/articles/2017-01-16/climate-experts-see-xi-touting-clean-energy-leadership-at-davos. Echo Huang and Tripti Lahiri, “Xi Jinping to China: ‘Any Harm We Inflict on Nature Will Eventually Return to Haunt Us’”, Qartz, 18 October 2017, https://qz.com/1105119/watch-what-xi-jinpings-19th-chinese-communist-party-congress-work-report-said-on-climate-change/. Thomas Kellog, “Xi’s Davos Speech: Is China the New Champion for the Liberal International Order?”, The Diplomat, 24 January 2017, http://thediplomat.com/2017/01/xis-davos-speech-is-china-the-new-champion-for-the-liberal-international-order/. Michael Klare, “A ‘China First’ and ‘Russia Second’ Foreign Policy?”, TomDispatch.com, 14 February 2017, http://www.tomdispatch.com/post/176243/tomgram:_michael_klare,_a_. Lin Xiaochun and Lu Jiafei, “新闻分析 | 美国退出‘巴黎协定’，全球气候治理或迎来‘3.0时代’ [United States Withdraws from ‘Paris Agreement’, Global Climate Governance or ‘3.0 Era’]”, Sohu, 2 June 2017, http://www.sohu.com/a/145388322_301529. Eva Sternfeld, “Introduction”, in Eva Sternfeld ed, Routledge Handbook of Environmental Policy in China (London: Routledge, 2017), 1. “China Urges ‘Differentiated Responsibilities’ on Climate Change”, Xinhuanet, 25 November 2015, http://news.xinhuanet.com/english/2015-11/25/c_134853944.htm. “神华张玉卓：未来35年在中国建设一个低碳的能源系统是可行的 [Zhang Yuzhuo: It Is feasible to Build a Low-carbon Energy System in China in the Next 35 Years]”, Shenhua Voice, 22 March 2017, http://news.bjx.com.cn/html/20170322/815810.shtml. Xi Jinping, “Enhanced Partnership for Greater Momentum of Growth”, Keynote Speech by Chinese President Xi Jinping at the APEC CEO Summit, Lima, 19 November 2016, http://www.globaltimes.cn/content/1019023.shtml. Xi Jinping, “Work Together to Build a Community of Shared Future for Mankind”, Speech at the United Nations Office in Geneva, CGTN, 18 January 2017, https://america.cgtn.com/2017/01/18/full-text-of-xi-jinping-keynote-speech-at-the-united-nations-office-in-geneva. Ministry of Foreign Affairs of the People’s Republic of China, “A New Starting Point for China’s Development: A New Blueprint for Global Growth”, Keynote Speech by Xi Jinping at the Opening Ceremony of the B20 Summit, Hangzhou, 3 September 2016, http://www.fmprc.gov.cn/mfa_eng/wjdt_665385/zyjh_665391/t1396112.shtml. Meng Si, “An Insight into the Green Vocabulary of the Chinese Communist Party”, chinadialogue, 15 November 2012, https://www.chinadialogue.net/article/show/single/en/5339-An-insight-into-the-green-vocabulary-of-the-Chinese-communist-party. Sam Geall, “Interpreting Ecological Civilisation (Part One)”, chinadialogue, 6 July 2017, https://www.chinadialogue.net/article/show/single/en/8018-Interpreting-ecological-civilisation-part-one-. Sam Geall, “Is the AIIB Still ‘Lean, Clean and Green’?”, The Interpreter, 15 March 2017, https://www.lowyinstitute.org/the-interpreter/aiib-still-lean-clean-and-green. President Jin Liqun, Opening address as prepared for delivery at the Meeting of the AIIB Board of Governors, 16 June 2017, https://www.aiib.org/en/news-events/news/2017/20170616_002.html. Global Energy Interconnection Development and Cooperation Organization, “Liu Zhenya Spoke at Chatham House Energy Transitions 2016”, GEIDCO News Release, 11 March 2017, http://www.geidco.org/html/qqnycoen/col2015100728/2017-03/11/20170311155130518518986_1.html. Michael Kimmelman, “Rising Waters Threaten China’s Rising Cities”, The New York Times, 7 April 2017, https://www.nytimes.com/interactive/2017/04/07/world/asia/climate-change-china.html. Gordon McGranahan, Deborah Balk and Bridget Anderson, “The Rising Tide: Assessing the Risks of Climate Change and Human Settlements in Low Elevation Coastal Zones”, Environment and Urbanization 19, No 1 (2007), 17­–37. Ye Qi et al, “China’s Post-Coal Growth”, Nature Geoscience 9, No 8 (2016), 564­–566, http://www.nature.com/ngeo/journal/vaop/ncurrent/full/ngeo2777.html. Fergus Green and Nicholas Stern, “China’s Changing Economy: Implications for its Carbon Dioxide Emissions”, Climate Policy 17, Issue 4 (2017), 423–442. Sam Geall and Adrian Ely, “Innovation for Sustainability in a Changing China: Exploring Narratives and Pathways”, STEPS Centre Working Paper 86, 13 October 2015, https://steps-centre.org/publication/innovation-for-sustainability-in-a-changing-china-exploring-narratives-and-pathways/. Andrew Ward, “Wave of Spending Tightens China’s Grip on Renewable Energy”, Financial Times, 6 January 2017, https://www.ft.com/content/37844fa4-d344-11e6-9341-7393bb2e1b51. John Matthews and Hao Tan, “Economics: Manufacture Renewables to Build Energy Security”, Nature, 10 September 2014, http://www.nature.com/news/economics-manufacture-renewables-to-build-energy-security-1.15847. Christopher Henderson, Ranping Song and Paul Joffe, “China’s Decline in Coal Consumption Drives Global Slowdown in Emissions”, World Resources Institute, 17 January 2017, http://www.wri.org/blog/2017/01/china%E2%80%99s-decline-coal-consumption-drives-global-slowdown-emissions. David Tyfield, Adrian Ely and Sam Geall, “Low Carbon Innovation in China: From Overlooked Opportunities and Challenges to Transitions in Power Relations and Practices”, Sustainable Development 23, Issue 4 (2015), 206–216. Sam Geall, “Access to Environmental Information in China: Transparency, Participation and the Role of Media”, in Eva Sternfeld ed, Routledge Handbook of Environmental Policy in China (London: Routledge, 2017). Richard Wike and Bridget Parker, “Corruption, Pollution, Inequality Are Top Concerns in China”, Pew Research Center, 24 September 2015, http://www.pewglobal.org/2015/09/24/corruption-pollution-inequality-are-top-concerns-in-china/. Stuart Leavenworth, “After Praising Pollution Documentary, China’s Environment Chief Is Silent on its Censoring”, Sydney Morning Herald, 9 March 2015, http://www.smh.com.au/environment/after-praising-pollution-documentary-chinas-environment-chief-is-silent-on-its-censoring-20150308-13yodz.html. Chai Jing, “Under the Dome: Investigating China’s Smog 柴静雾霾调查：穹顶之下 (full translation)”, YouTube, March 2015, https://www.youtube.com/watch?v=T6X2uwlQGQM. “Minitrue: Delete ‘Under the Dome’”, China Digital Times, 7 March 2015, http://chinadigitaltimes.net/2015/03/minitrue-delete-dome/. “Tang Yinghong: Why ‘Under the Dome’ Went Viral”, China Digital Times, 9 March 2015, http://chinadigitaltimes.net/2015/03/tang-yinghong-chai-jings-dome-went-viral/. Confidential interview with the author, Beijing, China, May 2017. Leavenworth, “After Praising Pollution Documentary, China’s Environment Chief Is Silent on its Censoring”. Wu Lixin, Qin Rongjun and Ren Shihua, “An Analysis of Coal Price Trends in China”, Coal Strategic Planning Research Institute, Beijing, December 2016, https://chinadialogue-production.s3.amazonaws.com/uploads/content/file_en/9464/REPORT_ENG_An_Analysis_of_Coal_Price_Trends_in_China.pdf. Michael Forsythe, “China Cancels 103 Coal Plants, Mindful of Smog and Wasted Capacity”, The New York Times, 18 January 2017, https://www.nytimes.com/2017/01/18/world/asia/china-coal-power-plants-pollution.html. Vertical management would institute direct, central control of local environmental protection bureaus (EPBs) by the Ministry of Environmental Protection, rather than the current system, where EPBs report to local governments. Ma Tianjie, “The Logic behind China’s Centralisation of Environmental Oversight”, chinadialogue, 16 November 2015, https://www.chinadialogue.net/article/show/single/en/8300-The-logic-behind-China-s-centralisation-of-environmental-oversight. Kristin Shi-Kupfer and Bertram Lang, “Overseas NGOs in China: Left in Legal Limbo”, The Diplomat, 4 March 2017, http://thediplomat.com/2017/03/overseas-ngos-in-china-left-in-legal-limbo/. “Top US Diplomat in China Quits over Trump Climate Policy, Sources Say”, The Guardian, 6 June 2017, https://www.theguardian.com/us-news/2017/jun/05/us-diplomat-china-quits-trump-paris-climate-deal. Björn Conrad, “China in Copenhagen: Reconciling the ‘Beijing Climate Revolution’ and the ‘Copenhagen Climate Obstinacy’”, The China Quarterly 210 (2012), 435–455. Andreas Sieber, “Why We Need a Climate Coalition between China and the EU”, Climate Tracker, 12 February 2017, http://climatetracker.org/why-we-need-a-climate-coalition-between-china-and-the-eu/. Andrew Rettman, “Poland Vetoes CO2 Targets on Eve of Paris Visit”, EUobserver, 28 October 2015, https://euobserver.com/environment/130867. “Trade Dispute Holds Up EU–China Climate Statement”, al Jazeera, 3 June 2017, http://www.aljazeera.com/news/2017/06/eu-china-trade-spat-scuppers-joint-climate-statement-170602154109163.html. Anglea Stanzel et al, “China’s Investment in Influence: The Future of 16+1 Cooperation”, China Analysis, 14 December 2016, http://www.ecfr.eu/publications/summary/chinas_investment_in_influence_the_future_of_161_cooperation7204. Gisela Grieger, “One Belt, One Road (OBOR): China’s Regional Integration Initiative”, European Parliamentary Research Service Briefing, July 2016, http://www.europarl.europa.eu/RegData/etudes/BRIE/2016/586608/EPRS_BRI(2016)586608_EN.pdf. Helena Smith, “Greece Blocks EU’s Criticism at UN of China’s Human Rights Record”, The Guardian, 19 June 2017, https://www.theguardian.com/world/2017/jun/18/greece-eu-criticism-un-china-human-rights-record. “Joint Communiqué of the Leaders Roundtable of the Belt and Road Forum for International Cooperation”, China Daily, 16 May 2017, http://www.chinadaily.com.cn/china/2017-05/16/content_29359366.htm. Ministry of Environmental Protection, People’s Republic of China, “ASEAN–China Environmental Cooperation Forum Injects New Impetus into Regional Green Development”, 18 September 2016, http://english.mep.gov.cn/Events/international_cooperation/201610/t20161024_366022.shtml. Beth Walker, “China’s Climate Aid Flows into Myanmar”, chinadialogue, 28 March 2017, https://www.chinadialogue.net/article/show/single/en/9701-China-s-climate-aid-flows-into-Myanmar. Fatima Arkin, “China’s Global Climate Battle”, Devex, 14 August 2017, https://www.devex.com/news/china-s-global-climate-battle-90680/amp. Kevin Gallagher, “China Global Energy Finance: A New Interactive Database”, Global Economic Governance Initiative Policy Brief 002, March 2017, https://www.bu.edu/pardeeschool/files/2017/03/China-Global-Energy.-Gallagher.Finaldraft-1.pdf. Feng Hao, “China’s Belt and Road Initiative Still Pushing Coal”, chinadialogue, 12 May 2017, https://www.chinadialogue.net/article/show/single/en/9785-China-s-Belt-and-Road-Initiative-still-pushing-coal. Isabel Esterman, “Southeast Asia’s Coal Boom Could Cause 70,000 Deaths Per Year by 2030, Report Says”, Mangabay, 16 January 2017, https://news.mongabay.com/2017/01/southeast-asias-coal-boom-could-cause-70000-deaths-per-year-by-2030-report-says/. Dirk van der Klay, “China Shifts Polluting Cement to Tajikistan”, chinadialogue, 8 August 2016, https://www.chinadialogue.net/article/show/single/en/9174-China-shifts-polluting-cement-to-Tajikistan. Zofeen Ebrahim, “China Helps Pakistan Build World’s Largest Solar Farm”, thethirdpole.net, 7 September 2015, https://www.thethirdpole.net/2015/09/07/china-helps-pakistan-build-worlds-largest-solar-farm/. Amar Guriro, “Pakistan’s Coal Expansion Brings Misery to Villagers in Thar Desert”, chinadialogue, 12 September 2016, https://www.chinadialogue.net/article/show/single/en/9224-Pakistan-s-coal-expansion-brings-misery-to-villagers-in-Thar-desert. Supriya Roychoudhury and Karin Costa Vazquez, “What is New about the BRICS-led New Development Bank?”, Devex, 9 May 2016, https://www.devex.com/news/what-is-new-about-the-brics-led-new-development-bank-88126. Juana Kweitel and Srinivas Krishnaswamy, “Does the BRICS Bank Have the Tools for Sustainable Development?”, Diálogo Chino, 14 October 2017, http://dialogochino.net/does-the-brics-bank-have-the-tools-for-sustainable-development/. Liu Qin and Tang Damin, “AIIB Plans to ‘Conditionally’ Support Coal Power”, chinadialogue, 6 March 2017, https://www.chinadialogue.net/article/show/single/en/9648-AIIB-plans-to-conditionally-support-coal-power.